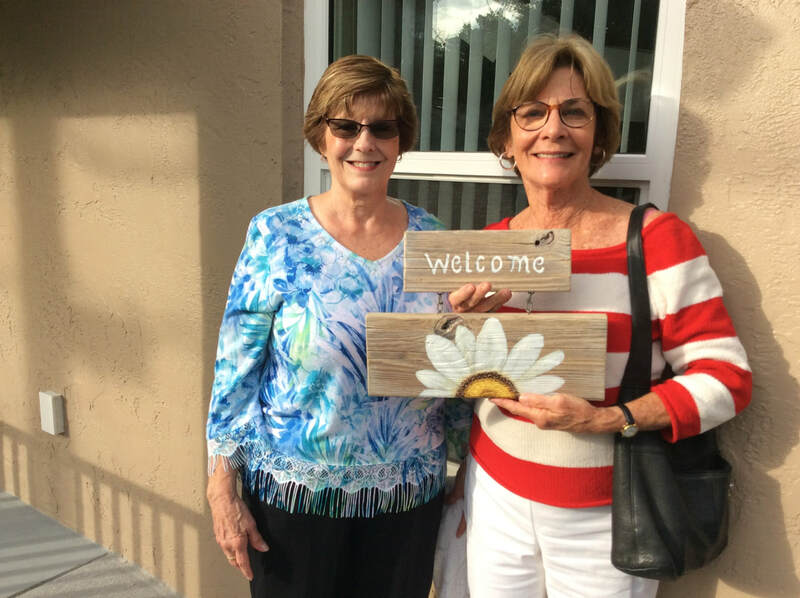 This hand-painted welcome sign was presented to the family receiving their house. 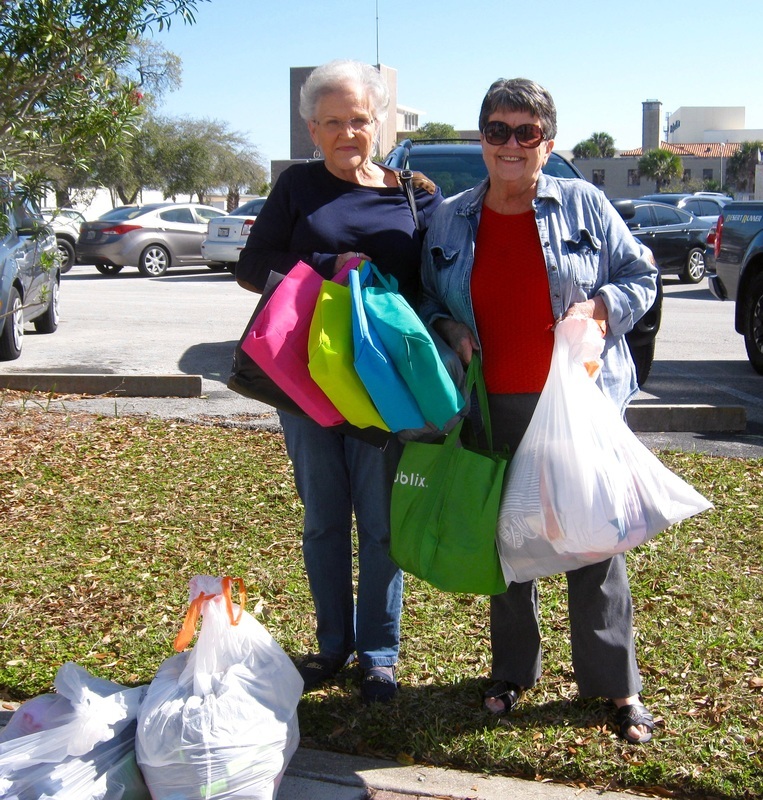 Nedra and Ann brought bags of new and slightly-used clothing to the Child Protection Team Headquarters. It's so easy. They call from the parking lot and minutes later two girls appear to pick up the bags. All the painters will be taking turns delivering items. It's a very "Feel Good" thing. 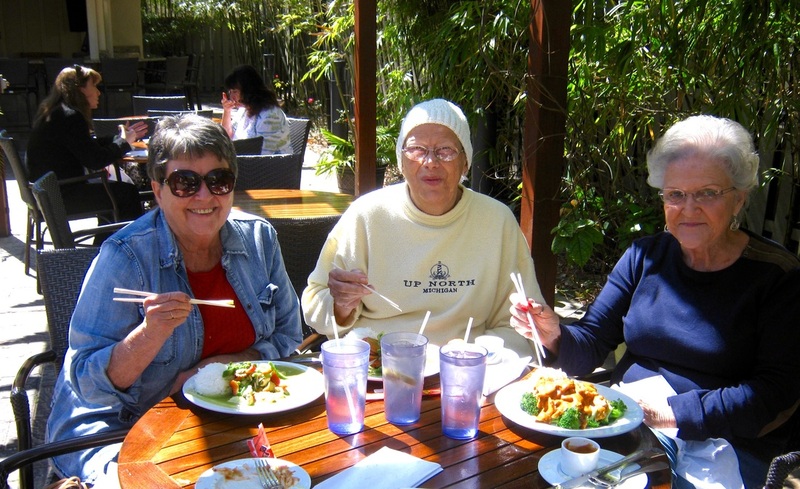 and THEN it's lunch at the Thai restaurant two blocks away. Dee and Patti brought 90 brand new colorful blankets and 90 new and adorable stuffed animals to the Child Protection Team, which is part of the Children's Medical Services. with 30 blankets and 30 stuffed animals for the children. Georgia, representing Seaside Decorative Painters of Daytona Beach, is presenting a donation to Halifax Urban Ministries. It is one of many services in the area our club supports. Our club has donated to many facilities, such as collecting personal items for, and painting murals on the walls of the Abused Women's Facility; Murals on the Rainbow House for Children; donated 75 book bags filled with school supplies for children that wouldn't have had these items any other way; yearly food drives, collections for Christmas gifts for needy children, painting items for various fund-raising auctions, besides our own, and random donations on an ad hoc basis. We do whatever we can to help the ARC, where our meetings are held. Unfortunately, the only pictures we have are of our Memory Boxes. Memory Boxes we have been painting for many years. They are brought to Halifax Hospital and given to every mother who will not be bringing her baby home. All the baby's items i.e. 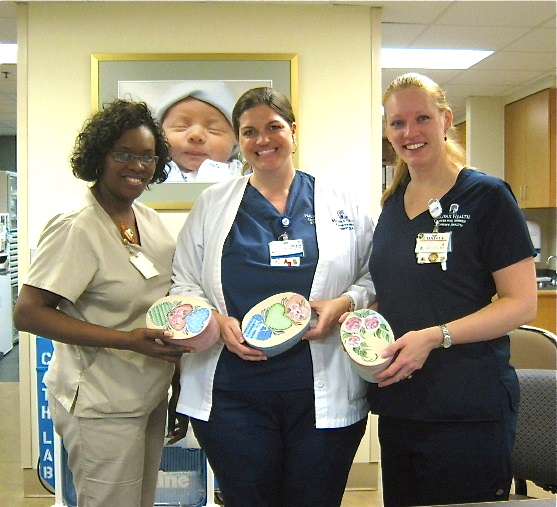 blanket, bracelet, certificates, booties are placed in the hand painted box and given to the mother when she leaves the hospital.